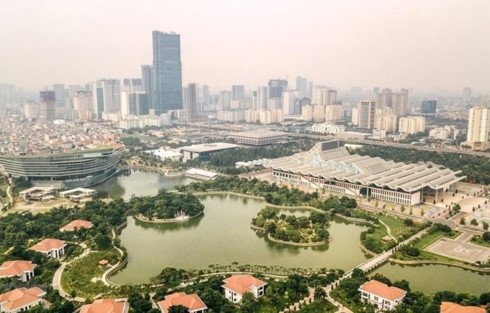 AsemconnectVietnam - Vietnam has gained significant achievements in the cause of national development over the years, according to an article by Czech Republic newspaper Halo Noviny. The article published on http://www.halonoviny.cz. on April 8 said after the reunification of the country in 1975, Vietnam had to face several difficulties due to the consequences of the war. Vietnam has succeeded in economic reform and foreign investment attraction and after the 1990s, its gross domestic product (GDP) has nearly tripled and the country maintained a stable annual economic growth rate of about 7.5 percent, the article pointed out. In 2018, despite global economic fluctuations, Vietnam’s economy still expanded by 7.08 percent. With advantages of economic flexibility and low-cost labour along with investment encouragement policies, Vietnam has become an attractive destination for foreign investors. It quoted the United Nations (UN) as saying Vietnam is one of the successful countries in the world in the fight against poverty, meeting the requirements of the UN Millennium Development Goals (MDGs). Before implementing “Doi Moi”, the rate of poor households in Vietnam was 58 percent, but now the figure is less than 6 percent. The article went on to say that in recent years, Vietnam has successfully organised major international events such as the 132nd Inter Parliamentary Union Assembly(IPU 132), the Asia-Pacific Economic Cooperation Forum (APEC 2017) and the 26th Annual Meeting of the Asia-Pacific Parliamentary Forum (APPF-26). Most recently, Vietnam was selected as a venue of the second summit between the Democratic People’s Republic of Korea and the US.